Chemists, dental technicians and materials engineers from the VOCO R&D department are masters of the molecules and their discipline - all of which meet the requirements of dental resins. This results in precise, fast, safe and efficient 3D printing results with V-Print. 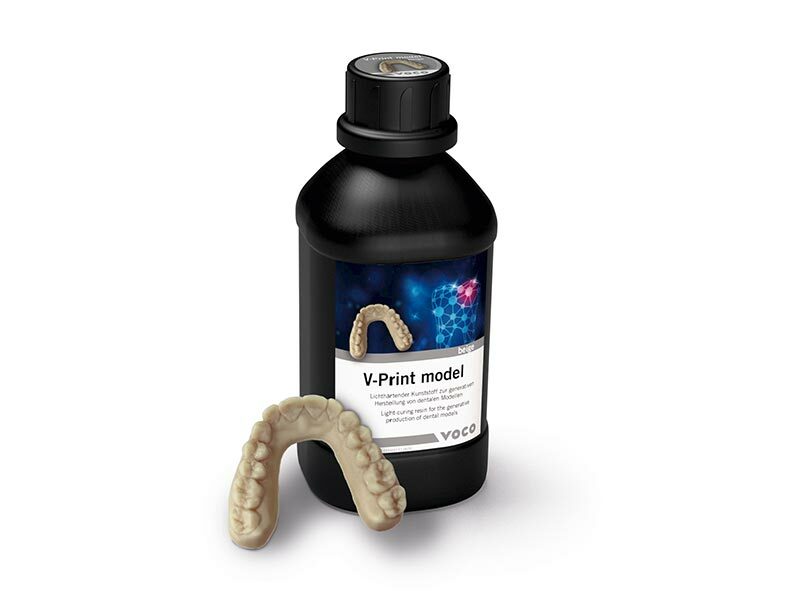 V-Print printing materials are light-curing plastics for the additive manufacturing of dental precision objects. 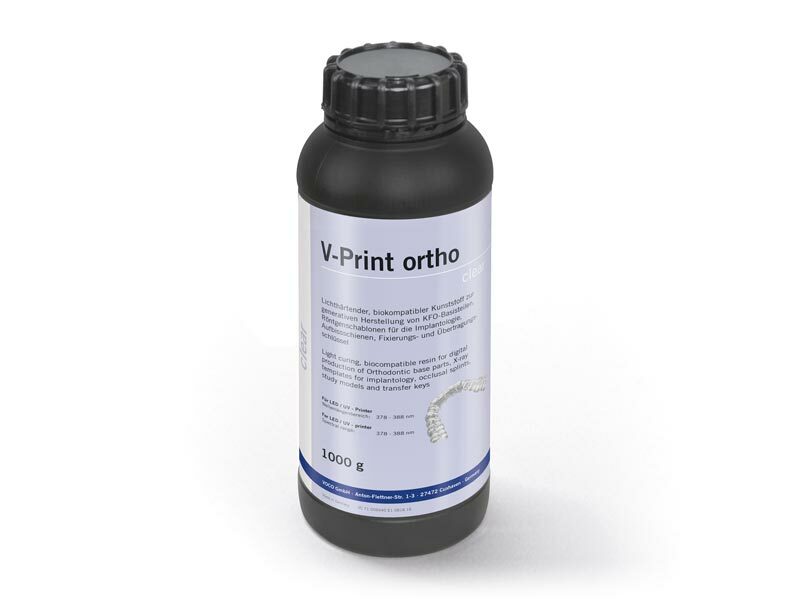 The V-Print materials are suitable for DLP printers with a 385 nm UV-LED light source. This material can be light-cured using a UV-LED light source with the wavelength shown. The product enables additive manufacturing of objects from homogeneous solution throughout the entire printing process.